Discussion in 'Auto News' started by GTPNewsWire, Jan 31, 2019. This article was published by Andrew Evans (@Famine) on January 31st, 2019 in the Automotive News category. I find it odd that VW keeps making a concept cars of a aftermarket kit car. This is the 2nd electric dune buggy they made in less then 10 years(they made a UP! one in 2011) and they made an few ICE ones. Is VW even going to make a production dune buggy? 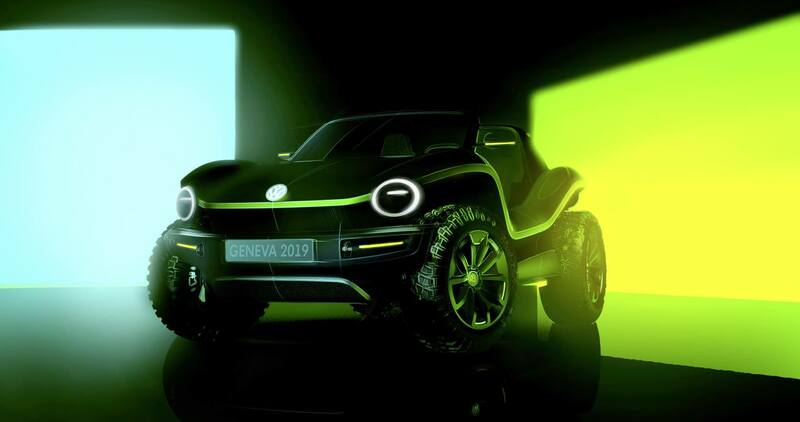 Is VW even going to make a production dune buggy? It's likely. Especially when they already made the Beetle Dune. A cool car that will never see the road. Also, all electric....meh. Not that I would ever buy one of these so my opinion is moot but, throw a flat engine in the back of it and that would be awesome.